China, Mongolia, Tanzania and Kenya has voiced their interest in joining the Persian New Year (Nowruz) dossier, a multi-national Intangible Cultural Heritage registered in the UN Educational, Scientific, and Cultural Organisation. Nowruz, the Persian New Year, has been celebrated for thousands of years at the beginning of spring, on March 20 or 21, by Iranians, as well as some other ethno-linguistic groups in the Western and Central Asia. According to a Farsi report by Mehr, Nowruz dossier was initially registered in UNESCO’s list of Intangible Cultural Heritage with seven countries involved: Iran, Azerbaijan, India, Pakistan, Turkey, Uzbekistan and Kyrgyzstan. However, the number will change as the nations where Nowruz is celebrated by some groups of people show their willingness to join the portfolio every now and then. The dossier was edited in 2014 after five countries – Iraq, Turkmenistan, Tajikistan, Afghanistan, and Kyrgyzstan – made an incorporation proposal; and re-inscribed as a 12-nation dossier in UNESCO Intangible Cultural Heritage during the eleventh session of the Intergovernmental Committee for the Safeguarding of the Intangible Cultural Heritage in Ethiopia last December. It was during this session that China, Mongolia, Tanzania and Kenya also expressed their interest in getting involved in the dossier. 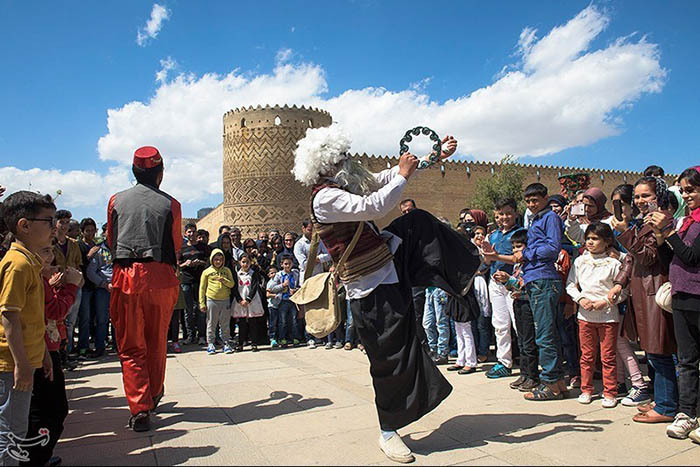 Since the dossier’s registration for the first time, Nowruz was due to be celebrated as an intangible heritage in one of the involved countries each year. So was done for some years in nations such as Afghanistan and Tajikistan, then it was forgotten. Iran, which celebrates Nowruz every year nationwide, decided to invite the ambassadors of other countries to this festival in order to promote it. The international celebration will be held this year in the Golestan Palace – a historical monument in Tehran – as announced by Hassan Talebian, the Deputy Head of Iran’s Cultural Heritage, Handcrafts and Tourism Organization (ICHTO). Iran is to celebrate Nowruz in 31 provinces at Nowruzgahs – special places for the festival this year on March 20.